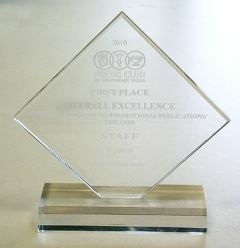 Entries are now being accepted for the the Twenty-seventh Annual Excellence in the Media Awards competition. The contest is open to members and potential members of the Press Club—full-time and part-time journalists and public relations professionals in Chambers, Hardin, Jasper, Jefferson, Liberty, Newton, Orange, Polk and Tyler counties. DEADLINE for ALL entries is Saturday, March 31, 2018 at 11:59 p.m.
Work published, aired or released between January 1, 2017, and December 31, 2017, is eligible for entry. Winners of the contest along with the 2018 Newsmaker of the Year will be announced Friday evening, June 8, 2018 during the 27th Annual Excellence in the Media & Newsmaker of the Year Awards Banquet at the MCM Elegante’ Hotel in Beaumont. All proceeds benefit the Lamar University Press Club Memorial Scholarship. Debbie Bridgeman of Beaumont has been elected the 2018-2019 president of the Press Club of Southeast Texas. Bridgeman has served since 2016 as community relations specialist for the Beaumont Independent School District. Other Press Club officers are Marilyn Tennissen, freelance writer/photographer, vice president for finance and membership; Farrah Severs-Young, Total Home Health, secretary; Mike Tobias, Beaumont Enterprise, vice president for programs and special events; Sharon Brooks, The Examiner, vice president for public relations; and Brian Sattler, Lamar University, vice president for development. Elected to two-year terms on the board of directors were Andy Coughlan, Lamar University; Scott Eslinger, KBMT-12News; Harold Mann, iHeart Media; Kristie Young, SNC Lavalin at ExxonMobil; and Greg Kerr, KFDM/KBTV. Guiseppe Barranco of Beaumont Enterprise, Jim Love of iHeart Media, and Tom Taschinger of Beaumont Enterprise were named to unexpired one-year terms on the board. As immediate past president, Kevin Steele of KBMT-12News serves as an ex-officio board member. Completing board terms are David Ball, Port Arthur News; Natalie Tindall, Lamar University; and I.C. Murrell, Port Arthur News. Bridgeman earned a bachelor of science in communications from the University of Texas at Austin in 1991. From February 2006 to December 2015, she served as the communications director for Better Business Bureau serving Southeast Texas. From 2003 to 2005, Bridgeman served as the promotions/special events director and “Morning Blend” co-host at KOLE-News Radio FOX, known on the air as “Debbie Wylde”. From 2001 to 2003, Bridgeman was director of programming for Clear Channel Radio (now iHeart Media) in Beaumont. Concurrently, she served as program director for KKMY-Mix 104.5 and on-air mid-day personality for KIOC-Big Dog 106. Before moving to Beaumont in 2001, Bridgeman held various positions at radio stations in Austin, Nacogdoches, Paducah, Ky., Columbia, Mo., and Huntington, W.V. She and her husband, Jason, have one son, Chase, who turns 13 in April. Bridgeman has been active in the Press Club of Southeast Texas since 2004, elected as president in 2009. Currently, she serves on the communications division for the Greater Beaumont Chamber of Commerce, campus educational improvement committee (CEIC) at Odom Academy, and small group leader at Praise Church. Throughout its 49-year history, the Press Club of Southeast Texas has united print and broadcast media with public relations professionals toward the common goal of excellence in communication. In addition to serving as a forum for issues, events, and ideas, the Press Club supports scholarships, community education and freedom of information. Membership in the organization is open to journalists and public relations professionals in Jefferson, Hardin, Orange, Liberty, Chambers, Jasper, Tyler, Polk and Newton counties. The Press Club Memorial scholarship is awarded annually to outstanding Lamar University communication students, supported primarily by proceeds from the club’s annual Newsmaker of the Year/Excellence in the Media banquet. The 2018 event is scheduled for June 8 at the MCM Elegante Hotel and Conference Center. For additional information, visit the Press Club website, pressclubofsoutheasttexas.org. “We hope to get a good turnout from members of the local media,” Andy Coughlan, Press Club board member, said. “This is a great opportunity for students to meet professionals in their fields of study, and a chance for professionals to share their knowledge with the next generation. The event will feature refreshments and a chance to see the work on display in the gallery. A brief gallery talk will be held at 7 p.m.
For more information, visit the Press Club or LU Communication Department Facebook pages. The Press Club of Southeast Texas recently contributed an additional $15,000 to the Lamar University Foundation endowment that provides for the Press Club Memorial Scholarship at Lamar University. The endowment, established in 2002, has grown to become the largest endowment for communication majors at LU. Scholarships are awarded each year to outstanding Lamar University communication students in the College of Fine Arts and Communication. The Press Club, incorporated in 1969, first established the scholarship in 1980 in memory of Jennie Love, a broadcast newswoman and active member who was serving as Press Club secretary at the time of her death. In the years since, the scholarship was renamed the Press Club Memorial Scholarship and the list of those honored by the award expanded to include other deceased members — all veteran area journalists and active Press Club members. Today, the Press Club Memorial Scholarship honors deceased members including James Shannon, Bill Leger, Gordon Baxter, Harold Beeson, Joe Broughton, Lela Davis, Richard Dixon, Sharon Englade, Amelia Feathers, Jennie Love, Bill Maddox, Bill Maultsby, Earl Newlin, Ralph Ramos, Martha Reed, Jim Turner, Bob Wolcott, and Jim Wright. Among its many activities to foster excellence, the Press Club hosts an annual Excellence in the Media contest, the Newsmaker of the Year Award, and monthly programs on newsworthy topics. The Press Club’s monthly luncheon program meetings are generally held on the third Thursday of each month. The Press Club of Southeast Texas draws its membership from Jefferson, Orange, Hardin, Liberty, Chambers, Jasper, Tyler, Polk and Newton counties. Press Club members are professionals in media, public relations, academia, public affairs, corporate communication and public information. LU communication students are eligible for membership in the Press Club and can participate in the annual Excellence in the Media competition. The Press Club of Southeast Texas seeks to advance the art and science of media in the public interest; to encourage research, discussion, and study of the problems and techniques of the communications professional; to strengthen and maintain the highest standards of service and ethical conduct by all members of the profession; to exchange ideas and experiences and collect and disseminate information that may enhance or improve the professional knowledge, standards, ethics, and standing of the membership; to foster educational excellence among communication students; to provide a public forum for issues and ideas; to support the Public Information Act (Open Records/ Meetings Act) and encourage compliance; and to promote fellowship within the profession. To learn more about the Press Club, visit pressclubofsoutheasttexas.org, or Press Club of Southeast Texas on Facebook. The Press Club of Southeast Texas announced the winners in the 2016 Excellence in the Media contest on Friday night, June 10. Join Press Club of Southeast Texas on Thursday, February 18, for our regular monthly meeting. Enjoy a great lunch and networking with other Press Club of Southeast Texas members. Our topic of discussion will be Religion/State, and how our area has become a sort of ground zero for this debate. 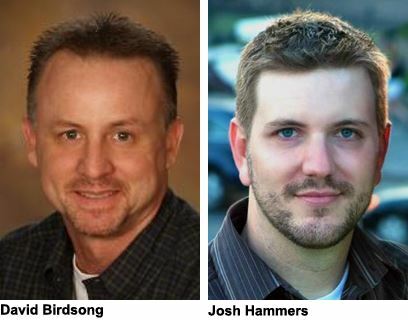 Our guests are Pastor David Birdsong, pastor of Southside Baptist Church in Port Neches, and Josh Hammers, a member of the Orange County Atheists. Birdsong has been one of the supporters of the white cross movement, yet he’s been known to reach out to those who disagree and engage in respectful dialogue. The same can be said of Hammers who has also been open to dialogue and has worked to change negative perceptions of atheists. He’s been in the thick of things in Orange County, including the issue with the nativity displays in front of city hall and the county courthouse. His organization has also had an adopt-a-highway sign that’s been vandalized numerous times. Both men will have 10 minutes to make a presentation, then they will answer questions. We'll kick off the meeting with the Greater Beaumont Chamber of Commerce, who will let us know about their media lunch, which will be held the following day. Nancy Correa, program director for the Southeast Texas Nonprofit Development Center, will discuss the center, plus talk about the Community Profile of Jefferson County, which will be released on February 23rd. Arrive early to place your order and enjoy free chips & salsa! Mark your calendars and save the date to attend the 25th Annual Excellence in the Media & Newsmaker of the Year Awards banquet Friday night, June 3, 2016, at the MCM Elegante' hotel in Beaumont. Tickets for the dinner are $36.10 each and will be available for sale online at the Press Club website. Table sponsorships are also available! Come out for a fun evening and support the Press Club and the club-sponsored communication scholarships at Lamar University. The winner will be announced at the Press Club’s annual 24th Annual Excellence in Media & Newsmaker Awards banquet on Friday, June 5 at the MCM Elegante Hotel in Beaumont. The winner has been determined by votes from all Press Club members. At the banquet, local winners will also be announced for competition in various journalism and public relations categories among Press Club members. Proceeds from the banquet are used to fund an endowed scholarship for students at Lamar University. Information on tickets or sponsorship for the banquet can be obtained by clicking here or by calling Debbie Bridgeman at 409.835.5951 x117.